Between the 1970s and today, people in the US and the EU seemed to become wealthier than ever. It is common for middle-class families to have several cars, a TV, iPad, or PC in every room, and go on more than one holiday each year. We make ourselves believe that we earned it and deserve it. But do we really? No, we borrowed about 90 percent of our ‘wealth’, considering that the cash reserve ratio in fractional banking has dropped below 10 percent, and the gold reserves (that were once used to back up our currencies) today are way below 10 percent of GDP globally. The global debt is now over a staggering 49 trillion dollars. What does that mean? To whom do we owe it to? Well, we are basically stealing wealth from our kids. Any child born in the US or Eurozone today already inherited a debt from its parents of around 200,000 dollars before its first breath. This includes the debt and liabilities of all governments, households, businesses, and financial institutions you are directly or indirectly liable for. Yes, you are liable, in one way or the other, for the debt and liabilities of your government, pension fund, fellow citizens, and bank because if any of them default on their obligations, it comes back to you. Let me explain; you save money, let’s say one dollar, with a bank, or invest money in a fund controlled by a bank. The bank then loans out seven to nine dollars for each dollar saved. They create six to eight dollars out of thin air. This is called fractional banking. Who do they loan it to? To businesses, governments, and consumers. These parties pay interest of, let’s say, one dollar a year. For each dollar interest received, the bank loans out another seven or eight dollars. And so on. You would think that a 7 to 1 ratio would be more than enough for banks, but no. Driven by huge bonuses, they found a way to increase their profit by increasing systemic risk. Not their risk, mind you, but systemic risk. To increase their leverage, they sell loans to other entities, primarily pension funds. Since banks pay the credit rating agencies, even subprime mortgages could be sold to pension funds at triple-A ratings. The monies received through the sale can again be leveraged in a 7 to 1 ratio. Businesses and consumers generally pay off their loans, unless they go broke. And they most often go broke in large numbers during a downturn. If that happens, banks run into trouble, as their Ponzi scheme of derivates collapses. Banks then need to be rescued by the government to save the pension funds and quell public unrest. This is called a bail-out. How do governments finance such a bailout? They issue bonds, which basically is a loan. Governments generally spend more than they gain in tax revenue and generally do not pay off their loan. They refinance. Governments overspend because politicians get elected on issues such as health care, defense, social security, income policies, and pensions. The debt of some countries has risen to staggering heights. Some countries, like Japan, spend up to 25 percent of their annual budget just paying the interest on their loans. Who eventually must pay for the national debts and the bail-outs? The taxpayer; and that’s you. As debts rise, interest increases. Thus, governments need to keep increasing their tax revenues. Causing inflation, which will cause wages to rise. Higher wages mean additional income tax revenue. Who will be paying for the inflation? Well, savers are the most obvious losers. Inflation outpaces returns on savings accounts and keeps pace with pension savings. Workers are losers too because the higher wages will cause businesses to move work to lower wage countries. And in the stock market, there is as much money made as is lost, since a recession follows each economic expansion. And each recession is preceded by increasingly bigger stock market crashes. The next one is estimated by various experts to evaporate about 40 percent of the capital invested. It will reap havoc on pension funds. But the worst losers are our children. Because governments represent the people, any debt of the government is a debt of the people. And the people have lived on too big a foot. Because Mommy and Daddy invited this enormous debt, by voting into power politicians who were eager to overspend and extend an entitlement mentality, Junior has some big bills to pay. What can a smart person do? There are only two types of assets that you can rely upon. The first one is real estate. If you have bought your property cheap, which is about 40 percent under average market value, during a crash for example, and refurbished and refinanced it to get most of your own money out, renting it will give you a decent return in any economic climate. Most people, however, buy property during an expansion and pay too much. Hence the rent in a downturn does not cover the interest on the loan, and they get into trouble. The second asset class is gold. Because of its purity, uniformity, scarcity, and malleability, gold is money nonpareil. Gold has been money for at least four thousand years, perhaps much longer. To understand gold, it is useful to know what gold is not. Gold is not a derivative. 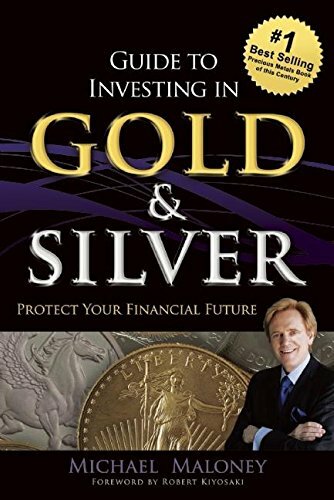 Financial instruments are contracts that may offer price exposure to gold and are part of a system that has physical gold associated with it, but they are contracts, not gold. Contracts based on gold have many risks that are not intrinsic to gold itself, starting with the possibility that counterparties may default on their obligations. Exchanges, where the gold contracts are listed, may be closed or abruptly changed. Banks may claim force majeure to terminate contracts and settle in cash rather than bullion. And governments may use executive orders to abrogate outstanding contracts. These occurrences have all happened before, and they will happen again. None of these occurrences, however, affects the physical gold bullion holder. Outright physical gold ownership, without pledges or liens, stored outside the banking system, is the only form of gold that is true money, since every other form is a mere conditional claim on gold. Gold is not a commodity. The reason is that it is not consumed or converted to anything else; it is just gold. It is traded on commodity exchanges and is thought of as a commodity by many market participants, but it is distinct. Gold has almost no industrial uses and is not food or energy in any form. It is desired as money in its store-of-value role, not for any other purpose. Even jewelry is not a consumption item because gold jewelry is just a form of money that can be worn. Gold is not an investment. An investment involves converting money into an instrument that entails both risk and return. True money, such as gold, has no return because it has no risk. Gold is the true risk-free asset. Confusion about the role of gold arises because it usually treated as an investment and is reported as such in financial media. But is gold fluctuating, or is it the dollar? On a day that gold is reported to be “up”, it would be just as accurate to treat gold as a constant and report that the dollar is “down”. This highlights the role of the numeraire, or the unit of account, which is part of the standard definition of money. If gold is the numeraire, then it is more accurate to think of dollars or other currencies as the fluctuating assets, not gold. Gold’s value is intrinsic and not a mere function of global currency values. It is the currencies that are volatile and that lack intrinsic value. If gold is not a derivative, a commodity, or an investment, then what is it? Legendary banker J. P. Morgan said it best: “Money is gold, and nothing else.” That’s why reintroducing a new gold standard is the only way out of this mess we got ourselves into. Although we won’t do it voluntarily, it is inescapable. For investors in physical gold, this presents a big opportunity. The total gold supply in the world today, exclusive of reserves in the ground, is approximately 163,000 tonnes. The portion of that gold held by official institutions, such as central banks, national treasuries, and the IMF, is 31,868.8 tonnes. Using a $1,500-per-ounce price, the official gold in the world has a $1.7 trillion market value. This value is far smaller than the total money supply of the major trading and financial powers in the world. For example, global money supply for the big four economic zones is about $48 trillion. If the global money supply were limited to $1.7 trillion of gold instead of $48 trillion of paper money, the result would be disastrously deflationary and lead to a severe depression. The problem in this scenario is not the amount of gold but the price. There is ample gold at the right price. If gold were $42,350 per ounce, the official gold supply would roughly equal the money supply of the Eurozone, Japan, China, and the United States combined. The actual price will be lower, since a gold standard doesn’t need to cover 100 percent of the money supply, but only those monies that are very liquid, such as cash, checkable (demand) deposits, and traveler’s checks. The point is to predict the price of gold and to anticipate a gold standard, but also to illustrate that the quantity of gold is never an impediment to a gold standard if the price is appropriate to the targeted money supply. A first approximation of an equilibrium, nondeflationary gold price is between $9,000 and $ 17,500 per ounce, although higher and lower values are feasible depending on the gold standard’s design specifications. Whatever the price will be, it will be a manifold of the price paid today. Astute investors will buy as much gold bullion as they can before the next downturn. Some will argue that gold cannot be used in a monetary system because the “gold exchange standard” caused the Great Depression of the 1930s and contributed to its length and severity. But as the name implies, the gold exchange standard was not a pure gold standard of the type that had existed from 1870 to 1914. 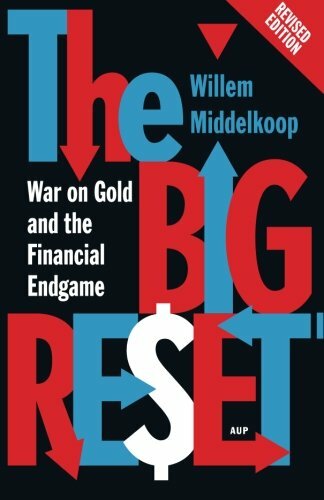 The gold exchange standard was, at best, a pale imitation of a true gold standard and, at worst, a massive fraud. A well-designed gold standard could work smoothly if the political will existed to enact it and to adhere to its noninflationary disciplines. 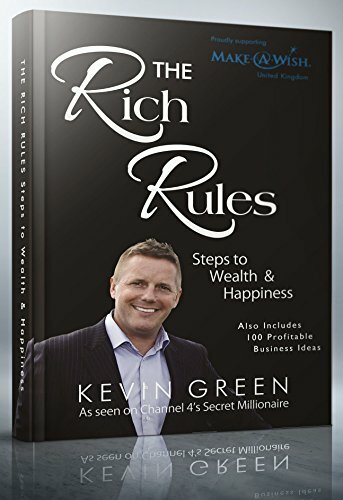 A gold standard is the ideal monetary system for those who create wealth through ingenuity, entrepreneurship, and hard work. Gold standards are disfavored by those who do not create wealth but instead seek to extract wealth from others through inflation, inside information, and market manipulation. The debate over gold versus fiat money is really a debate between entrepreneurs and rentiers. A new gold standard has many possible designs and would be effective, depending on the design chosen and the conditions under which it was launched. The classical gold standard, from 1870 to 1914, was hugely successful and was associated with a period of price stability, high real growth, and great invention. However, the introduction of a new gold standard will have a major adverse effect. Savings in the form of bank deposits, insurance policies, annuities, and retirement benefits will be largely wiped out through either extreme inflation or deflation. This is necessary to remediate the debt we have built up. That’s why the new gold standard will certainly not be a matter of choice but may be pursued as a matter of necessity when confidence in fiat currencies collapses. N.B. 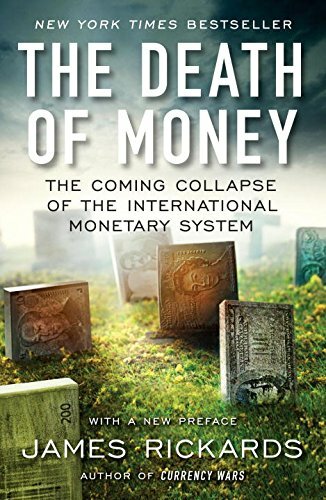 Much of this post is based on the book “The Death of Money” by James Rickards and may even contain various passages from the book. Another interesting source is usdebtclock.org. It provides detailed information on debt per taxpayer and per capita. in the US. There are links to the national debts of other countries as well, but these exclude external debt. The Eurozone, for instance has much lower levels national debt than the US, but the external debt and liabilities are much higher than in the US. So are the consumer debts, by the way, but these are usually mortgages which can be largely offset against savings. Some would argue that growing social and economic inequality; unemployment; and economic instability are the result of globalization. They are not. They are the result of monetary policies based on compromises resulting from conflicting and corrupted economic philosophies. In other words, governments and banks have broken our capitalistic system. Lower trade barriers, automation and cheaper transport have brought millions of extra low- and unskilled workers onto the world market. While this has raised living standards and productivity overall, it has also created a group of people whose relative position has weakened considerably: lower skilled workers in developed countries. In a global economy, the free flow of capital is deemed essential. Equal opportunity, however, requires that such free-flowing capital is balanced by free-flowing labor. When capital is allowed to cross borders where labor is not, it hampers equal opportunity and innovation. In my view, you cannot have one without the other. Similarly, free-flowing labor needs to be balanced by free-flowing products and services, or it may lead to an undesirable extent of human migration. If work doesn't migrate towards labor, labor will migrate towards work. Protectionism has no place in a globalized economy, as it will only invoke violence.